Reputation Management is a how-to guide for students and professionals, as well as CEOs and other business leaders. It rests on the premise that reputation can be measured, monitored, and managed. 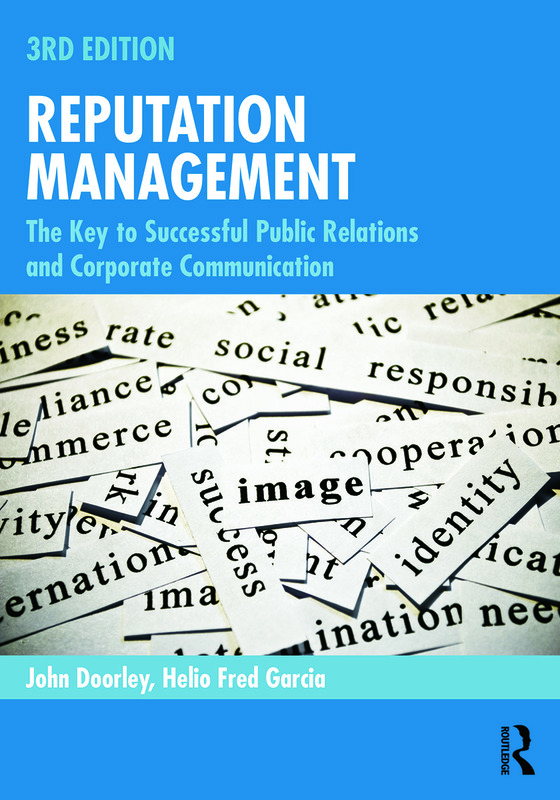 Organized by corporate communication units including media relations, employee communication, government relations, and investor relations, the book provides a field-tested guide to corporate reputation problems such as leaked memos, unfair treatment by the press, and negative rumors, and focuses on practical solutions. Each chapter is fleshed out with the real-world experience of the authors and contributors, who come from a wide range of professional corporate communication backgrounds. Global content has been incorporated and expanded throughout the book, rather than being restricted to only one chapter. Opening vignettes, examples, and case studies have been updated in each chapter. Additional case studies and examples with an international focus have been added. "The authors have found the right balance between academic rigor and practical application and between the foundational concepts of public relations and their application. It has been my text of choice for the past four years and will continue to be in the future." "Reputation Management provides just the right breadth and depth of information to give the reader a full understanding of how to create and maintain organizational reputation within the context of the current business climate. Full of case studies and useful examples, this text is a practical and accessible tool for understanding the communication processes underlying the practice of reputation management." "Reputation Management is more than an advanced organizational communication or public relations text. It connects theory to professional practice, making a strong business case for building and maintaining reputation as an organizational asset. Communication and business students, as well as professionals, will benefit from reading this book." "This book is the real deal—engaging and up-to-date ‘real world’ examples combined with communication and managerial theory. The chapter exercises encourage critical thinking and analysis. Reputation Management is just about the perfect text for anyone who wants to understand how communication works in organizations. I won't teach corporate communication without this textbook." 1: Reputation Management. 2: Ethics and Communication. 3: Media Relations, By The authors and Jennifer Pfahler, Edelman PR. 4: Social Media, by Laurel Hart, Logos Consulting Group. 5: Organizational Communication, by Jeff Grimshaw, Tanya Mann, and Lynne Viscio, MGStrategy. 6: Government Relations, by Ed Ingle, Microsoft Corporation. 7: Community Relations. 8. Investor Relations, by the authors with Eugene L. Donati, Lycoming College and NYU. 9: Integrated Communication: Everything Communicates, by Tim P. McMahon, Creighton University. 10: Issues Management. 11: Crisis Communication. 12: Corporate Responsibility, by Anthony P. Ewing, Logos Consulting Group and Columbia Law School. 13: Public Relations Consulting: Consulting & Corporate Communication – The Nexus, by Louis Capozzi, Chairman, retired, MSL Group. 14: Challenges and Opportunities in Corporate and Organizational Communication. John Doorley, head of corporate communications for Merck & Co. Inc. until 2000, most recently built and directed for 10 years the Master of Science Degree Program in Public Relations and Corporate Communication at New York University School of Professional Studies. He is now with the London-based company Mindful Reputation. Helio Fred Garcia is president of Logos Consulting Group. He is an adjunct professor in the Executive MBA program of New York University's Stern School of Business, and teaches courses in NYU's MS in Public Relations and Corporate Communication program at the university's School of Professional Studies. He is the author of The Power of Communication: Skills to Build Trust, Inspire Loyalty, and Lead Effectively (FT Press, 2012) and of Crisis Communications (AAAA Publications, 1999).